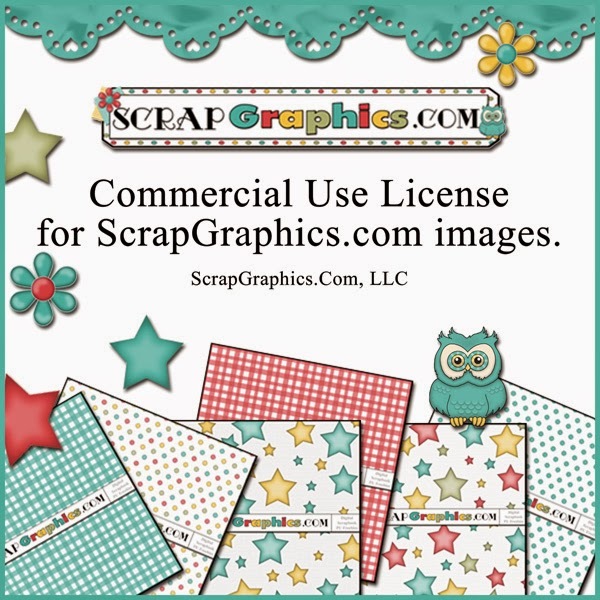 If you are interested in using ScrapGraphics.Com images for professional use, please purchase the COMMERCIAL USE LICENSE. Once you have the commercial use license you can make your own freebies from our images and give them away on your blog. There is never a time when you can give away the unaltered original ScrapgGraphics files. However, you can alter them by changing the color, combining them with other elements, or reshaping them and then they can be distributed. They can also be printed on or in craft items or books once you have a commercial license. We hope this answers your question. I just wanted to let you know that I think your pricing is incredibly reasonable especially considering it includes the commercial rights to everything on your awesome blog! And that your digital graphics are adorable! Thanks for being awesome! hiya! i keep trying to get to the commercial license, but the link that says HERE doesn't take me to the place where I can purchase one. I think the link is broken, would you mind sending me a link please.